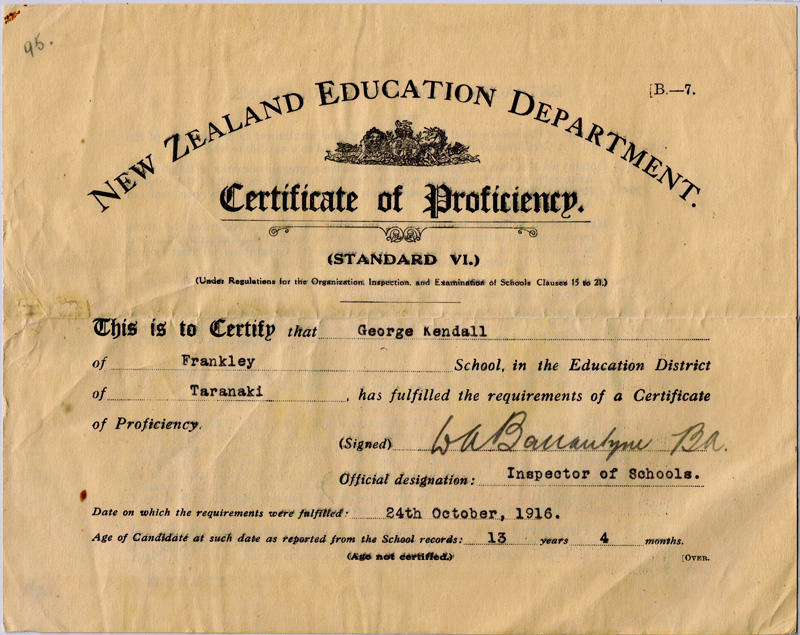 Certificate of Proficiency (Standard VI), issued by New Zealand Education Department to George Kendall of Frankley School, Taranaki. 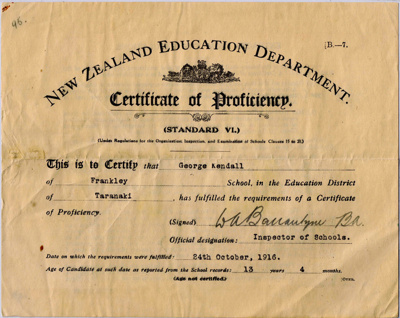 Name, school, district and age have been typed in to gaps of pre-printed certificate. Signature handwritten. Back describes requirement of certificate.